Dental Damage and Dry Mouth: What Can You Do? Chronic dry mouth is more than just a frustrating condition. It can actually cause dental damage if left untreated. 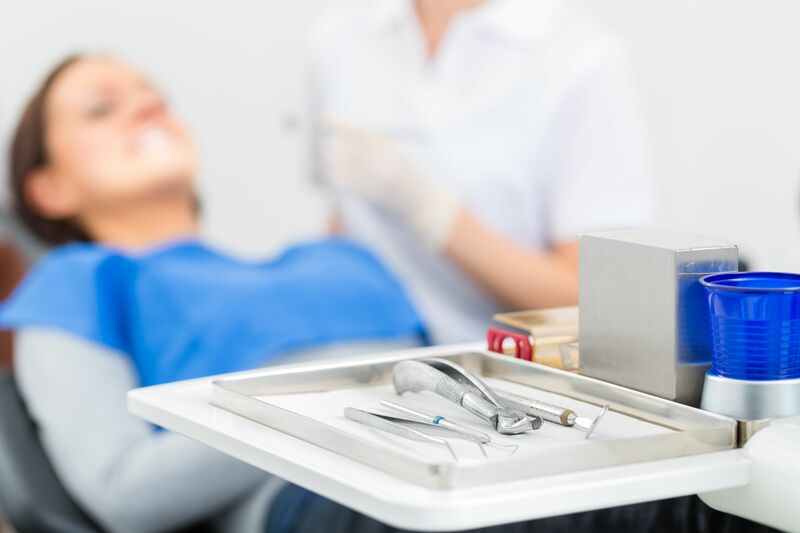 At PQ Family Dental in Rancho Penasquitos, CA, our dentists offer a variety of dental treatments to address dental damage and dry mouth. They can also offer tips to treat dry mouth and prevent the damage it can do to your teeth and gums. Xerostomia is chronic dry mouth. The condition occurs when the body cannot produce enough saliva. Because saliva removes food particles and neutralizes acids, it protects the teeth and gums from decay and disease. When saliva production is reduced or eliminated, damage can occur. Chronic dry mouth is most often the result of one or more medications. It is commonly listed as a side effect for medications that treat depression and anxiety, as well as certain allergy and cold medicines like antihistamines and decongestants. Chemotherapy and certain health conditions can also cause dry mouth. The use of tobacco - smoking or chewing - can also lead to the development of chronic dry mouth. What Kind of Dental Damage Can Dry Mouth Cause? Tooth Decay: When the acids in the mouth aren’t neutralized, they begin to erode the enamel. This leaves the teeth vulnerable to bacteria, which can cause decay. Tooth Sensitivity: The enamel erosion also exposes the underlying tissues of the teeth, which are more prone to sensitivity. Gum Disease: Dry mouth can also lead to an overgrowth of bacteria in the gums. The gums can become infected. Gum disease is another chronic condition that can lead to tooth loss if left untreated. Dental Stains: Since the saliva is not present to wash away bacteria, food particles, and acids, the teeth may darken. Additionally, enamel erosion exposes the dentin, which is more yellow in color. If dry mouth and the above conditions are not addressed, tooth loss and bone loss may occur, requiring more extensive and costly dental work. How Can I Relieve Dry Mouth? Whether your dry mouth has resulted in dental damage or not, you should contact our office to schedule a check-up. We can check for early signs of damage and clean your teeth to remove any plaque or tartar that might lead to tooth decay or gum disease.